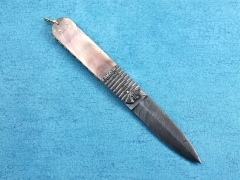 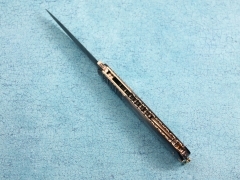 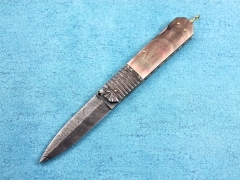 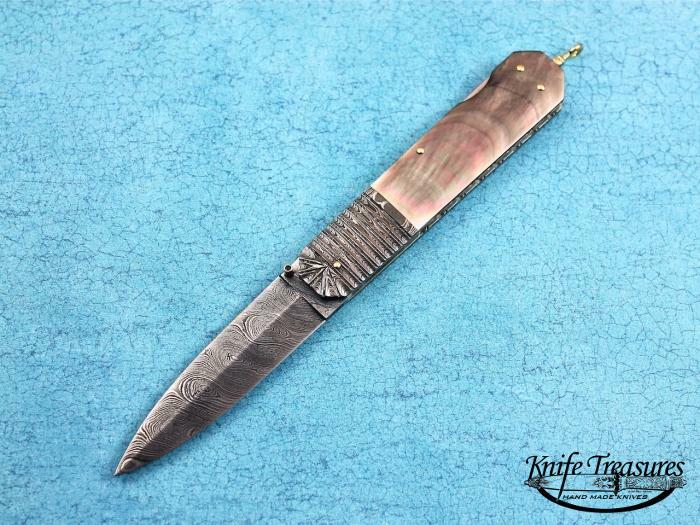 A very nice folding Dagger by Barry Davis. 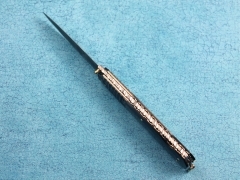 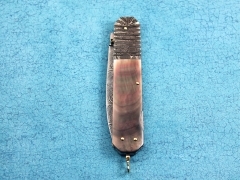 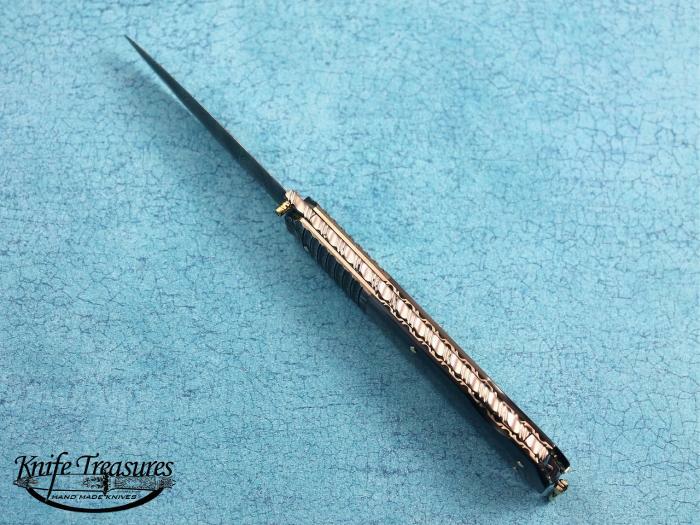 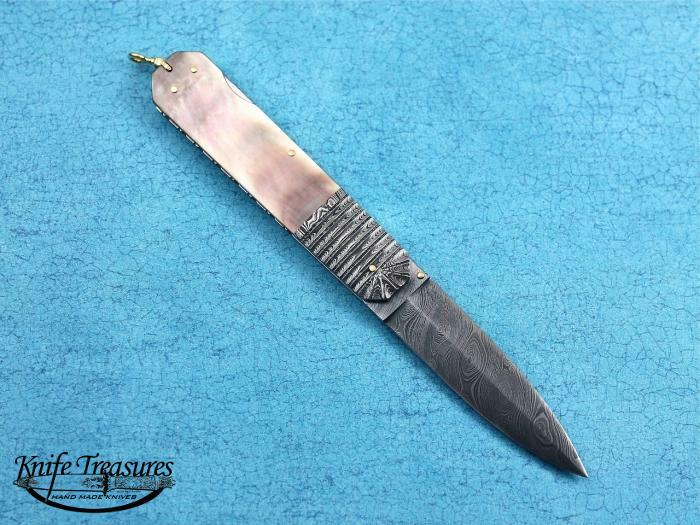 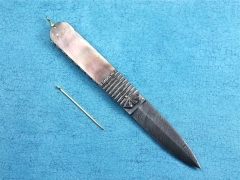 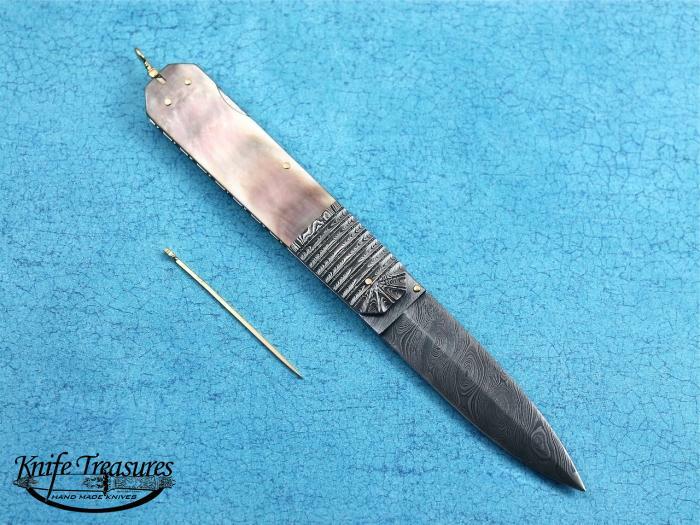 This beautiful knife has fantastic Black Lip Pearl, awesome Damascus by Barry and a Gold bale, Gold toothpick and Gold pins. 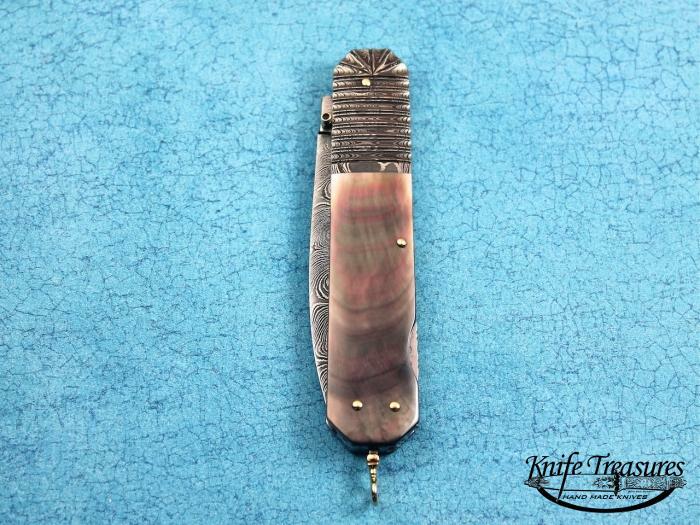 A very nice piece by Barry Davis.